When we think of waves we usually visualize water crashing into the beach, but waves come in many forms and ultimately a wave is anything that transfers energy from place of place caused by a disturbance, such as sound, radio, or light. In order for a wave to travel it needs some sort of medium to travel through, whether it’s liquid, sound, light, or other mediums through which energy transfers. There are several main parts of a wave. The crest is the highest point of the wave or vibration. Conversely, the trough is the lowest point of a wave. Without those two we would just have the rest line which is in the middle of the two, where the medium would rest if undisturbed. Two important things in understanding how waves function are the wavelength, which is the measurement between crest to crest or trough to trough, and frequency, which is the number of waves that pass a given point in a certain amount of time. Waves will continue to travel as long as they have energy and a medium through which to travel, unless the wave either hits a surface which the medium can’t pass through and so I then bounces back, which is called reflection. Or, if I is interfered with by another medium or wave either fueling it or draining the wave. Waves are a huge part of our daily lives, whether it’s through our cell phones, light waves, or being able to communicate with others through speaking. Without the knowledge of waves and how they work, much of communication technology would not exist. Visual Brand Learning also offers Annual memberships for only $25.00 that are valid for one year from the date of purchase. You can enjoy 365 days of accessing over 400 individual study cards that are available online and printable study guides. We also offer many resources for Visual Learners their parents and teachers such as interactive Maps for Common Core and Dyslexia. We also provide information on videos, books, articles and Professional Organizations related to all Visual Learners. Sign up for our newsletter HERE and you will receive a FREE print and online version of the best-selling astronomy study guide! 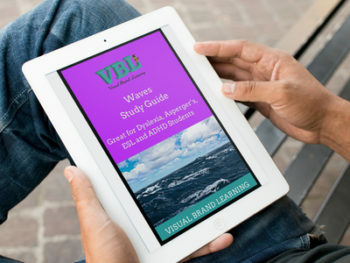 Waves ebook is on sale for a limited time. Only need one download? Visit us on the Teachers Pay Teachers website. Annual memberships are valid for one year from the date of purchase, so you can enjoy 365 days of accessing over 400 individual study cards that are available online and printable study guides. We also offer many resources for Visual Learners their parents and teachers such as interactive Maps for Common Core and Dyslexia. We also provide information on videos, books, articles and Professional Organizations related to all Visual Learners.